Is there a problem with money influencing our elections and then influencing the actions of elected officials? And if so, are there solutions that we can all agree upon? Increasing numbers express concern at the influence of big money in elections, especially since the supreme court’s Citizens United ruling in 2010, which allowed corporations to spend unlimited amounts of money on our elections. From another perspective, money was always heavily involved in elections — and the voice of everyone in America (including leaders of corporations) should not be restricted in the free marketplace of ideas. What do you think? Watch our high-profile conversation with Robert Reich and Debbie Dooley here! What are your thoughts on Money in Politics? When it comes to money in politics, what is your primary concern right now? 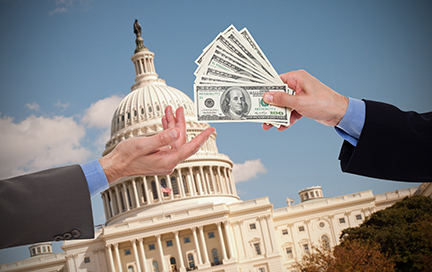 Do you see money in politics influencing elected officials and policy makers? What specific stories can you share? What in your life has been affected by money in politics? What would you like to see happen about money in politics? Where is the issue of money in politics on your top 10 list?